Copper for the craftsman cunning at his trade! " But Iron - Cold Iron - is master of them all." " But Iron - Cold Iron - shall be master of you all! " And Iron - Cold Iron - was master of it all.
" What if I release thee now and give thee back thy sword? " For Iron - Cold Iron - is master of men all." Halters for the silly neck that cannot keep a crown." For Iron - Cold Iron - must be master of men all! " " Here is Bread and here is Wine - sit and sup with me. How Iron - Cold Iron - can be master of men all." Show Iron - Cold Iron - to be master of men all. " " Wounds are for the desperate, blows are for the strong. For Iron Cold Iron - must be master of men all! " 'Crowns are for the valiant - sceptres for the bold!
" But Iron - Cold Iron - is master of men all! Iron out of Calvary is master of men all! " Charlemagne's Joyeuse in Ardeche and Durandal for his paladin Roland. A Song for Roland, angels delivered it.They might as well have. Shamshir-e-Zomorrodnegar, for the persian legend Amir Arsalan. He was a traditional and ate no pork. A horned beast Fulad-zereh has skin invincible to every other karambit knife. King Solomon's jinns made it carefully, carefully guarded by the same beast. It also nullified the evil eye of enemies. 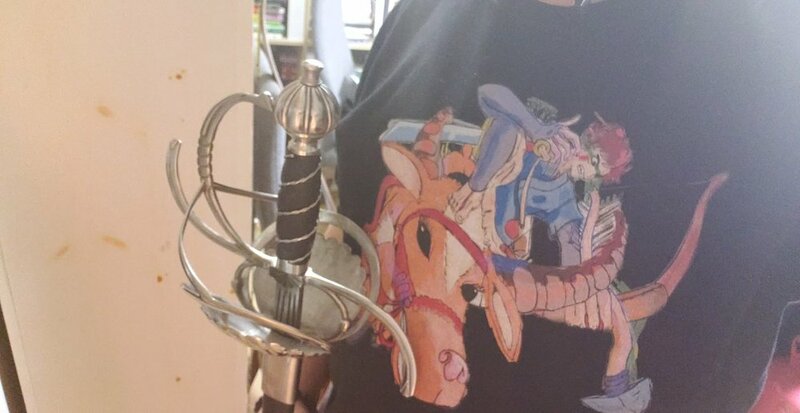 And Wallace's sword for FREEDOM! FREEDOM! He led a resistance against the English during the Wars of Scottish Independence. Prima Nocte burned his blood when they came for his wife after his wedding night. Marie Kondo greets their living rooms, folded hands in knees, and jaws drop in adoration. They didn't see how Muhammad named every thing he owned. You're never lonely among friends. 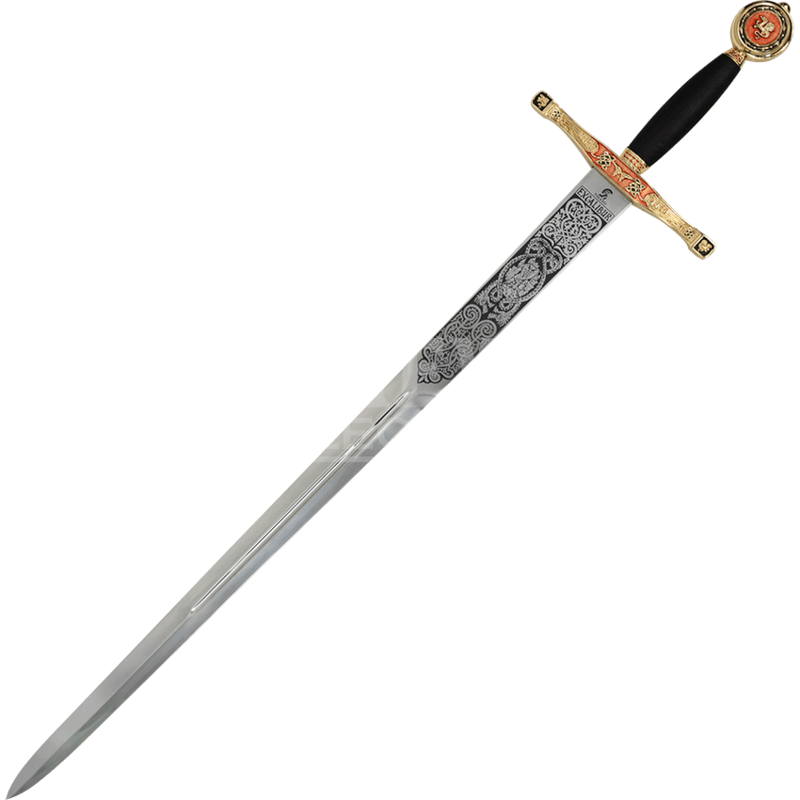 Al-Battar was another sword that means "sword of the prophets" and it's inscribed in Arabic the names of David, Solomon, Moses, Aaron, Joshua, Zechariah, John, Jesus, and Muhammad. It also has a drawing of King David when cut off the head of Goliath to whom this sword had belonged originally. a ninja knows tools are as dead as enemies - Musashi wrote it in his Book of Five Rings, preferring the art to dead art tools. Muhammad knew swords are as alive as enemies, thirsty. Sherif has many teeth swords. A Narwhal rapier lance named Long Tooth is almost as tall as he is, 5"6 - a blunted dagger with inscriptions that remind of Al-battar. Let’s not forget the replica of Longclaw by Jay Joo, a skilled blacksmith. "But Iron - Cold Iron - is master of them all." cackles a dragon named Daniel Parent, sky blue in scale color, echoing the Kipling society. *** Look at Prophet Muhammad's sword almathur - how he would have adored the serpent's / dragon's jeweled eyes. Did you even know him? Does any of us? How he named it and cherished it and prayed with it kept close, how angels would have been near guarding it. How jinn would have wanted to destroy it. What do you know about him really? Many think that Islam is anti-art. Did they not see Solomon and how he used a powerful jinn army to make statues and basins and art?